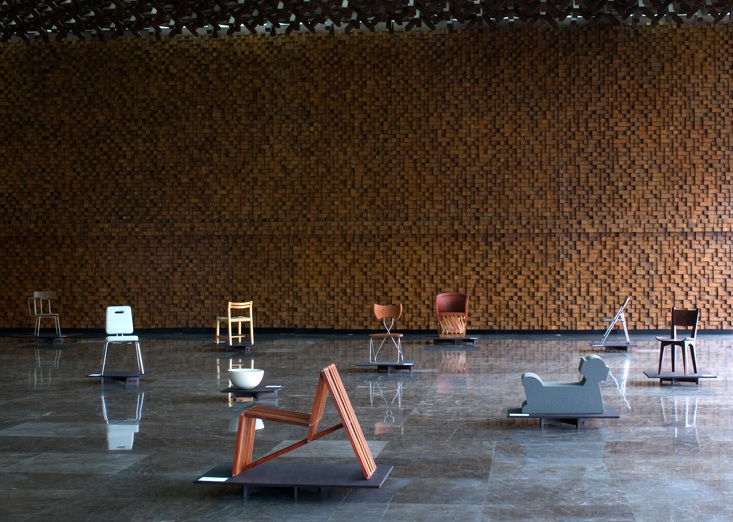 Transit Cases: Chairs from Mexico is an exhibition that draws a map of relations among different material and social territories. Simultaneously, the show generates juxtapositions and contrasts between contemporary pieces and a few historical references, acknowledging the Prehispanic, Colonial and Modern heritages inherent to Contemporary Mexican design. 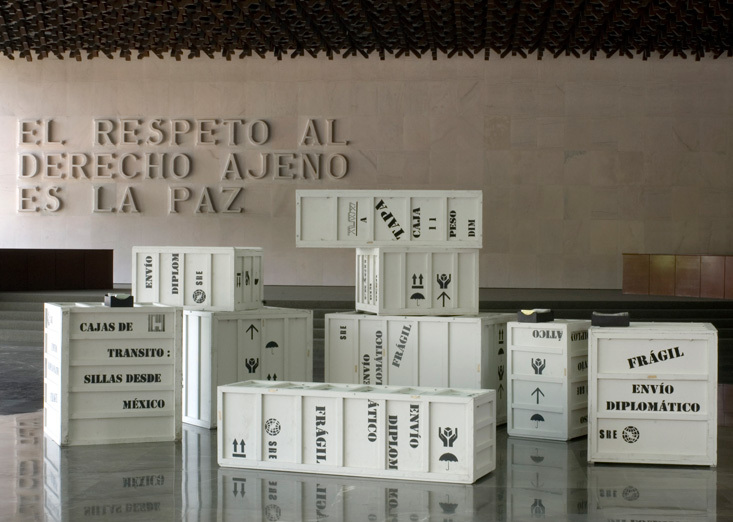 The show was commissioned by the Mexican Ministry of Foreign Affairs as a traveling show to be exhibited in the Mexican embassies and cultural centers abroad. The show was installed in Mexico City, Madrid, Berlin, Eindhoven, Dublin, Brussels and Copenhagen. Due to the traveling nature of the show, the exhibition design was an essential component for the success of the show. 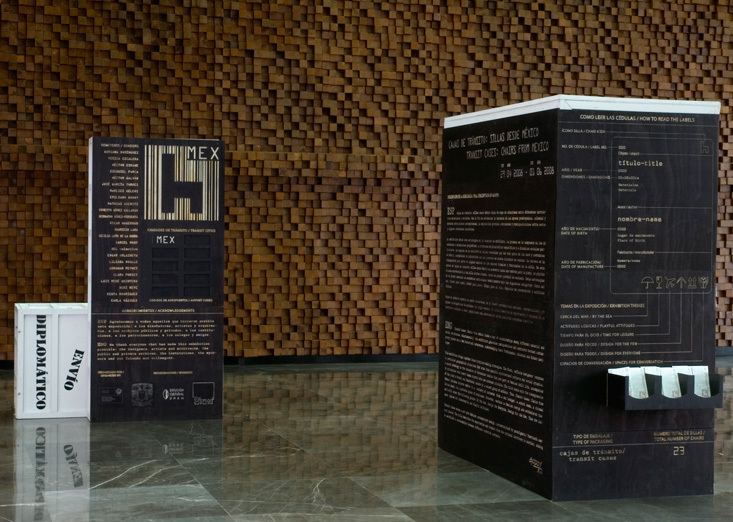 The crates where the pieces travelled, technically called “transit cases”, were part of the design, being shown alongside the pieces and displaying the curatorial text, sponsors information and brochure storage. 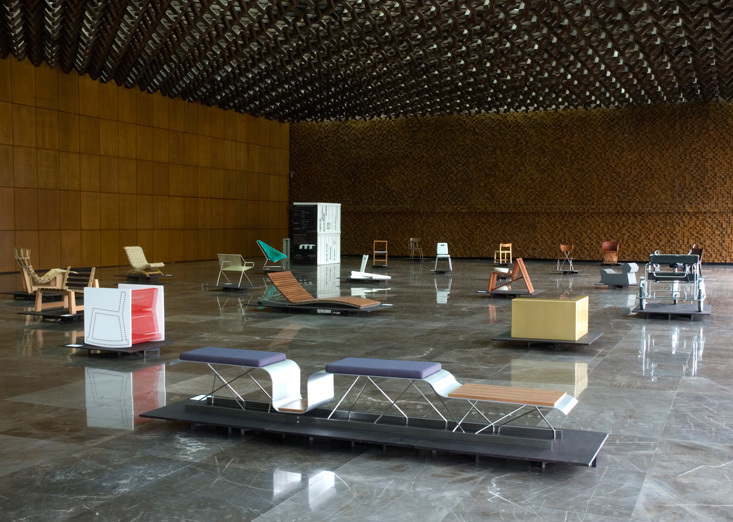 The show included 23 chairs designed by Adriana Dominguez, Yesica Escalera, Héctor Esrawe, Ezequiel Farca, Héctor Galván, José García Torres, Marlies Gelens, Emiliano Godoy, Mathias Goeritz, Ernesto Gómez Gallardo, Bernardo Gómez Pimienta, Óscar Hagerman, Mauricio Lara, Cecilia León de la Barra, Daniel Mont, NEL colectivo, Edgar Orlaineta, Liliana Ovalle, Abraham Peyret, Clara Porset, Luis René Quintero, Dení Reye, Kenya Rodríguez and Karla Vazquez, and two anonymous pieces.